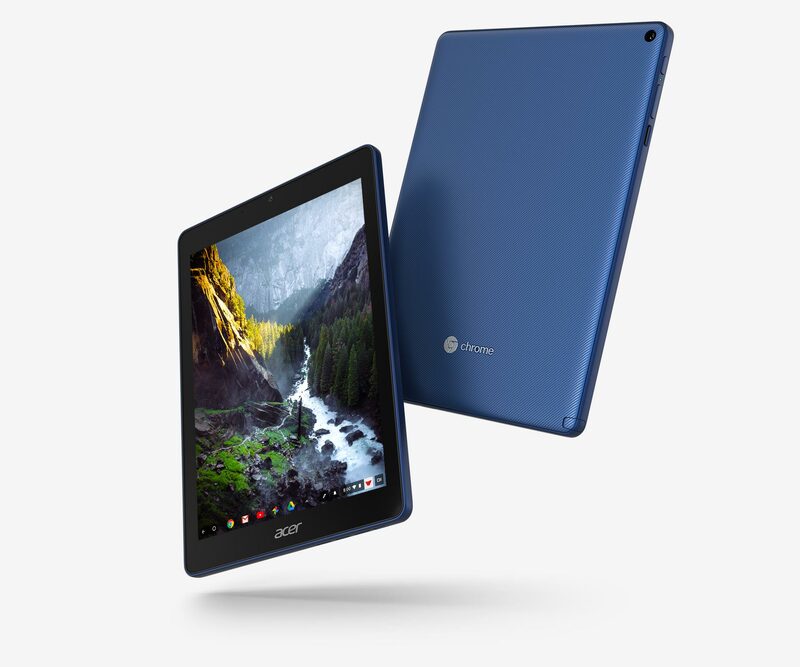 Last week had two interesting announcements for EDU - a new iPad and the Acer Chromebook Tab 10 tablet. There have been a lot of different reactions from the two, but most reactions were very positive towards the Chromebook Tab and very "meh" to the new iPad. Here are my thoughts and some articles that were posted about them. Management and Deployment - Apple still hasn't gotten this right. Chromebooks, including the new Tab 10, are the easiest devices to deploy and manage. iPads are not easy and require 3rd party tools. This means less headaches, work and cost for school IT departments. Price - $329 for the Tab 10 includes the stylus, which docks into the tablet and does not need charging. The $299 iPad doesn't include the stylus and there is no where to dock it. In addition, the Apple Pencil (and Crayon stylus) require charging. With the Apple Pencil, the iPad is now $388 ($348 with crayon stylus). Specs - display is the same, Tab 10 has 4GB of RAM and iPad only has 2GB; Tab 10 has a microSD card slot, nothing for iPad; processors are both hi end and optimized for their platforms; both have 32GB onboard storage; Tab 10, and G Suite, have unlimited G Drive storage, iPad comes with 200GB of iCloud storage; similar battery life and dimensions; similar cameras and sensors. Stylus - similar performance and latency, but Tab 10 includes a garaged stylus, while Apple Pencil is extra ($89) and not garaged. And don't forget that Professional Development and well designed curriculum and lessons are the really important thing. The Acer Chromebook Tab 10 is easier to deploy and manage, less expensive with a stylus, and can do pretty much anything.